Leaky Shed Studio: Getting an early start on Halloween! Fall is in the air and that means Halloween is coming up soon. I love to do Halloween craft projects, not sure if it's the bright colors or what! 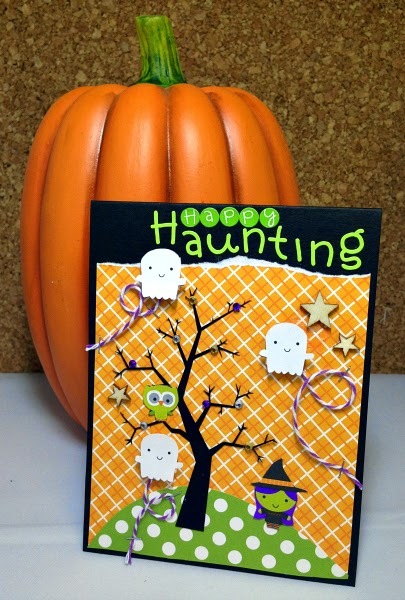 Christine joining you today to share a Halloween card featuring one of Leaky Shed's great cuts the Tree - 2 Cuts set! Did you know Leaky Shed has some items in cardstock too? This is one of those items - this set comes with two sizes and is black which makes it perfect for those Halloween projects! 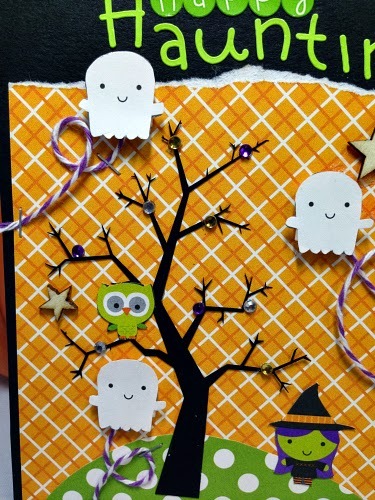 By simply adding some gemstones too it and some Halloween characters throughout it makes for an eye catching card that will be fun for all the little spooks in your life!